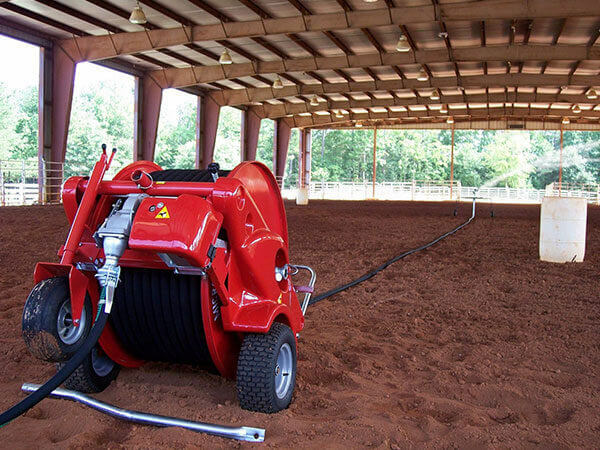 The Micro 405 Series Irrigation Travelers from ABI are ideally suited for sports fields, landscape areas, horse arenas and small acreage farms requiring irrigation at an affordable cost. 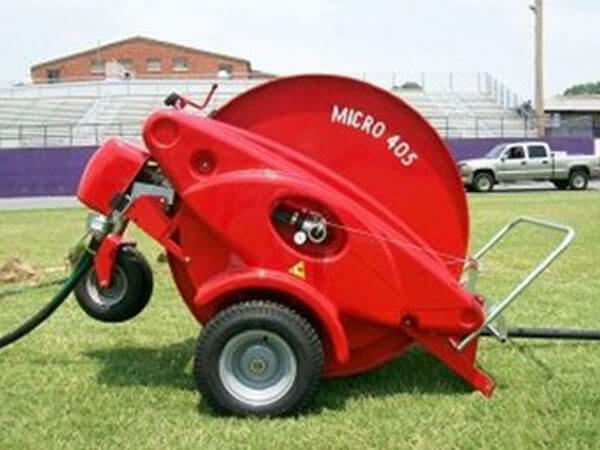 Micro 405 Series offers a dependable and economical solution with simple operation and minimal labor requirements. Low pressure turbine with maintenance free gearbox. Automatic drive shut off valve at end of irrigation. Automatic water shut off valve. Part circle sprinkler with 2 nozzles. Scroll type hose-guide for even wind up of hose. Speed control valve for accurate application rates. 12 foot supply hose with quick couplers. Automatic cart loading and lifting. Honda 5.5 hp booster pump assembly with Komet sprinkler. 26-foot Boom for light applications. 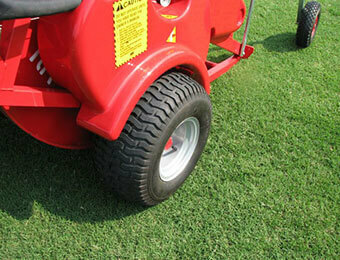 Wide turf tires for less damage to sportsfields. 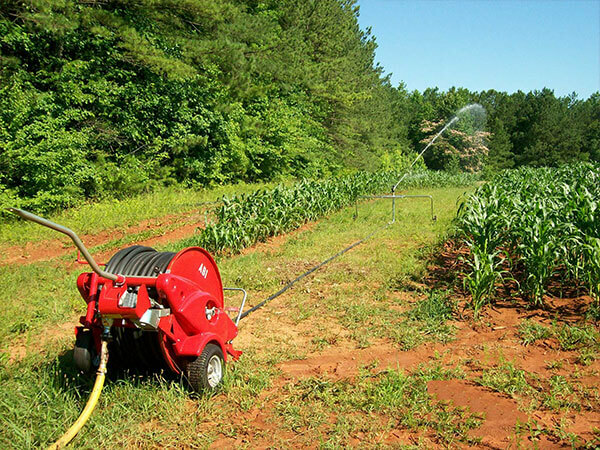 The patented AquaStop and shut-off bar allows for the drive system and sprinkler to be turned off at the end of watering cycle. 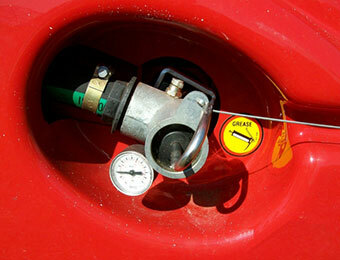 The accurate hose winding mechanism allows for a more even winding of the PET hose. Cart loads automatically onto lifting frame shutting off water at the end of the run. 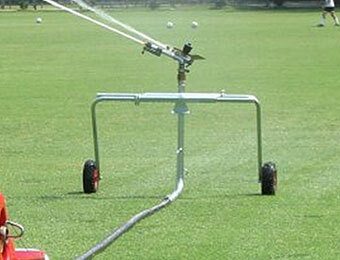 Adjustable width galvanized sprinkler cart. and utilizing all the water ~ no wasteful dumping onto the ground. Download The PDF's To Learn More. 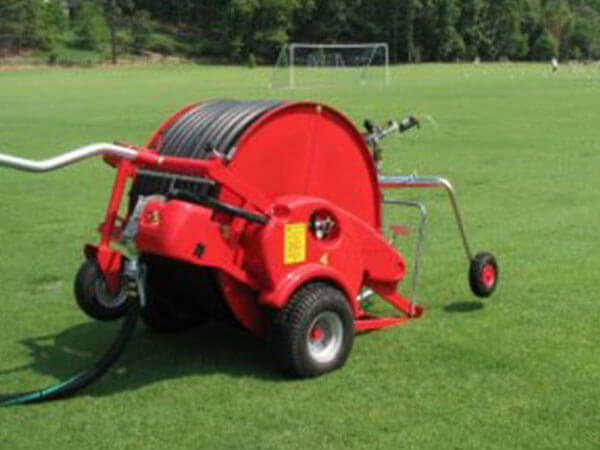 View Micro 405 Hose Reel Performance (pdf). 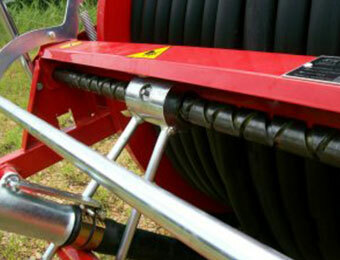 View Micro 405 Hose Reel Brochure (pdf). 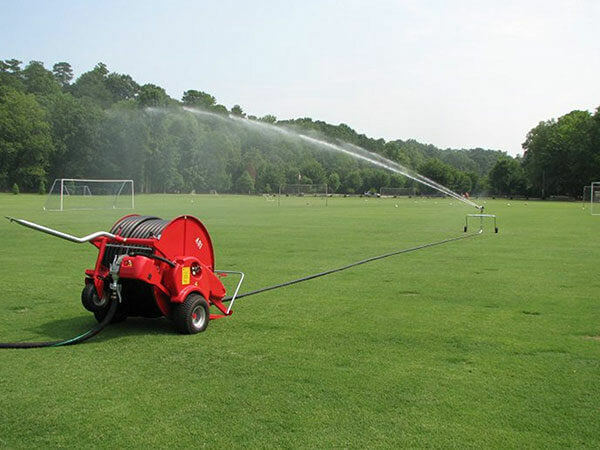 View Micro 405 Hose Reel Operator’s Manual (pdf). 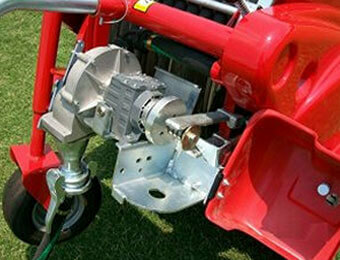 View Micro 405 Hose Reel Parts Manual (pdf).